Pokémon is a series of video games developed by Game Freak and Creatures Inc. and published by Nintendo as part of the Pokémon media franchise. First released in 1996 in Japan for the Game Boy, the main series of role-playing video games (RPGs) has continued on each generation of Nintendo's handhelds. The games are commonly released in pairs—each with slight variations—with an enhanced remake of the games usually released a few years after the original versions. While the main series consists of role-playing games, spinoffs encompass other genres, such as action role-playing, puzzle, and digital pet games. As of February 2016, more than 279 million Pokémon games have been sold worldwide, more than 200 million of which from the main series. 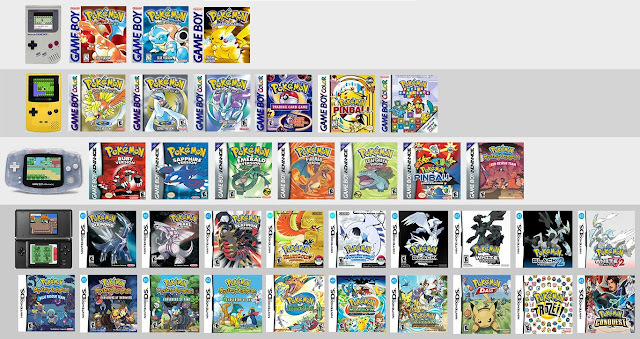 This makes Pokémon the third best-selling video game franchise, behind Nintendo's own Mario franchise and the Tetris series of block puzzle games. The franchise's mascot is Pikachu.